IR transmitters have become recognized as reliable gas warning systems for explosion protection. 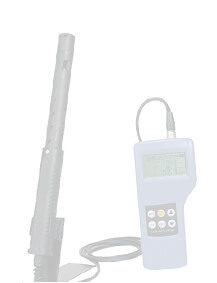 They are used to detect individual combustible gases or a wide range of gases. This involves sending an IR beam with a certain light intensity through a measuring space and then capturing it with a detector. Parts of this beam are absorbed by, amongst other things, hydrocarbon molecules. The reduced light intensity of the beam is registered by beam detectors and converted into a signal as the existing % LEL gas concentration. A special feature of our IR technology is its ability to also measure combustible gases above the lower explosion limit. Moreover, the measurement does not require oxygen. With this technology there is basically no risk of contaminating the sensor, through silicone vapors or hydrogen sulfide, when using catalytic combustion sensors. IR transmitters are usually used with 2 wavelengths, a so-called reference wavelength and just one measuring wavelength. Strict limits are applied to these systems. The absorption spectra of many hydrocarbons are located in the wavelength range of 3.3 μm and overlap to a large extent. This means that gases with overlapping spectra and just one measuring wavelength can no longer be clearly distinguished. Some hydrocarbons, e.g. the frequently used welding gas acetylene, are non-absorbing in the wavelength range of 3.3 µm, but absorb instead in neighboring wavelength ranges. These requirements are problems for systems with 2 wavelengths. The internationally patented technology of the IR 29 has been developed to solve these problems. The gold-plated mirror optics of the sensor contains 2 radiators and up to 4 detector elements with different optical filters. The precisely calculated, microstructured and pure gold coated mirror optics of the IR 29 are supplied for the first time without beam splitters. This helps to cut signal losses by 50 % and to completely avoid the physically-related disadvantages of a beam splitter. The measured values from two additional wavelengths (4 wavelengths in total) ensure improved detection of individual gases and thus enhanced selectivity. This results in the prevention of false alarms. Only a 4 wavelength system always guarantees early warnings and the simultaneous prevention of false alarms. 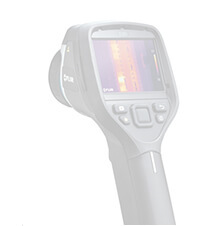 The IR 29 is the first and only intrinsically safe IR gas transmitter with patented 4-beam 4-wavelength technology. The ignition protection class "intrinsically safe", which is so essential for industrial plants and the mining industry, is achieved by the additional use of the SB1 safety barrier and its internationally patented and innovative design. The IR 29 with its robust V4A stainless steel housing has been designed to withstand the harshest environmental conditions. The application areas of the dust and water-protected structure range from production and storage areas to disposal sites, biogas plants, mines and oil rigs. A standard built-in data logger records all the measuring data, minimum / maximum values, average values and alarm events of the last 24 hours in a ring buffer. The recording can also be shown on the display as a 2 and 8 hour trend indicator. The histogram mode can be selected as a permanent display of the measured values. These values are continuously updated. Measured values are shown on the high-contrast graphical display. The display can be rotated 180° depending on the installation of the IR 29. Processor-based signal processing enables the systematic compensation of temperature dependencies, aging influences and soiling effects. Safety-relevant functions are monitored permanently via self-diagnosis procedures and a possibly required service is indicated automatically. Daily interfering factors, such as dust and dirt accumulation, are almost completely eliminated by the innovative design. The measuring accuracy of IR sensors depends on partial pressure and thus also air pressure. 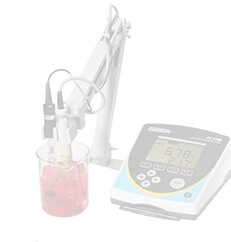 Climatic fluctuations or barometric high pressure therefore influence the measuring result. Furthermore, the absorption spectrum of water almost completely covers that of hydrocarbon absorption in the 2.7 to 3.3 μm range. 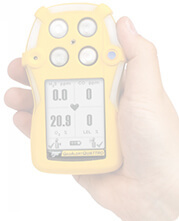 Air humidity therefore initially generates a measuring signal the same as the actual measuring gas. This cross-sensitivity is of particular importance in warm areas with high relative humidity. An increase in the absolute water absorption capacity of air is not linear with the temperature, i.e. three times as much water can be absorbed at 40 °C than at 20 °C. This influence can only be compensated if the current moisture content of the air is known. 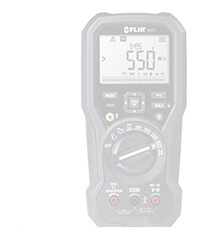 The IR 29 can be optionally equipped with a pressure and moisture sensor for compensation. The innovative display enables the realization of completely safe warning concepts. Local displays and signals directly at the device can be used to provide an early warning of potential risks. The display at the upstream safety barrier SB1 D enables the detection of risks outside the danger zone being monitored. A gas permeable, water-repellent diaphragm protects the absorption space of the transmitter against dust. The additional impact protection made from robust V4A stainless steel prevents mechanical damage to the optical components. The diaphragm can be cleaned or replaced in a matter of minutes. 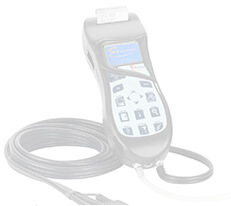 The IR 29 transmitter does not feature control elements for setting or servicing tasks. This helps to prevent accidental or unauthorized manipulation. Service work at the IR 29 transmitter is carried out using the RC 2 remote control.